Went to a bday bash for Erin the other night at Noona, a hip little new Korean bistro/bar on the edges of Prospect Heights. 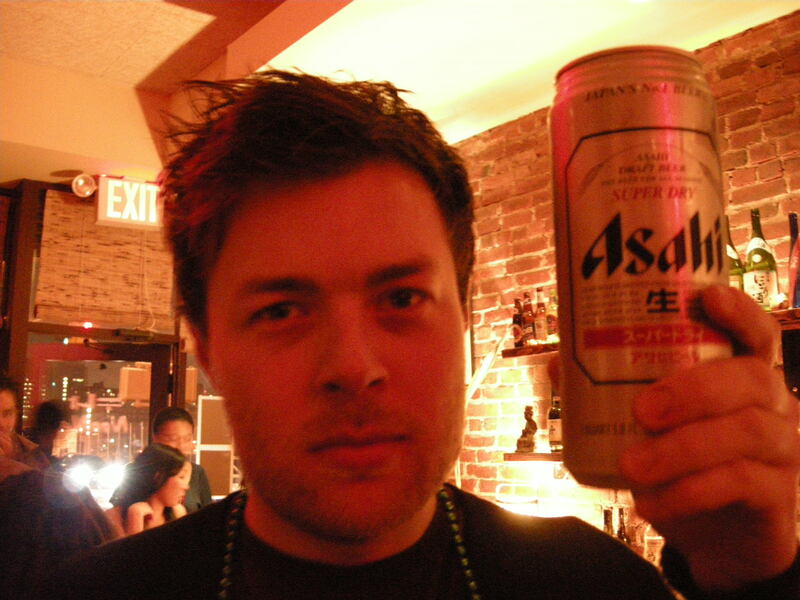 There, you can get cans of Asahi bigger than your head. Here is Casey demonstrating: he could barely wrap his hands around it, and it is indeed the size of his head (and he’s actually got a pretty big head). It’s like a LITER of beer for $9!!! The bartender called it the “Japanese 40”. 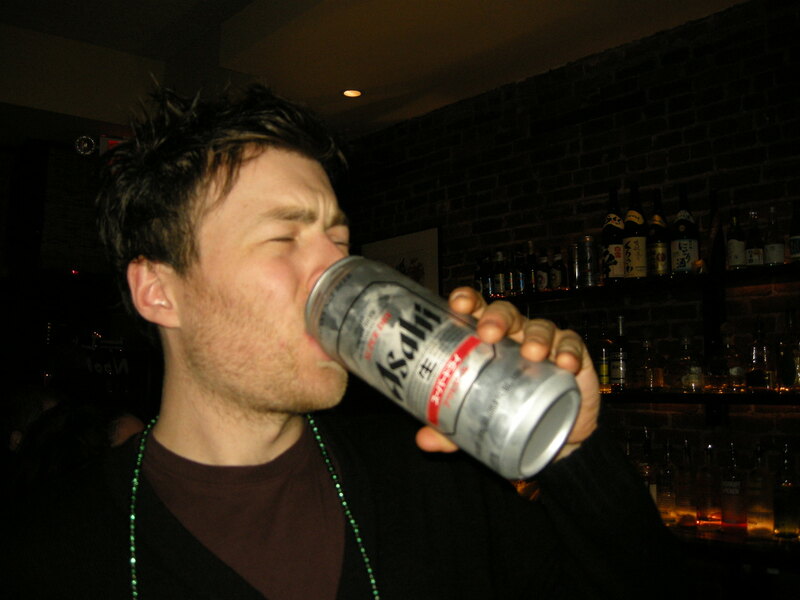 Ladies, what should you do when you see a guy carrying a beer like this at a bar? Be very very afraid. *These pics just in, courtesy of Jodi. These cans are out of control! 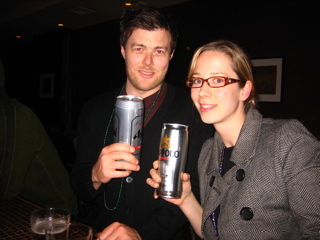 This entry was posted on February 4, 2008 at 1:32 pm and is filed under *Kayoko, beer. You can follow any responses to this entry through the RSS 2.0 feed. You can leave a response, or trackback from your own site. 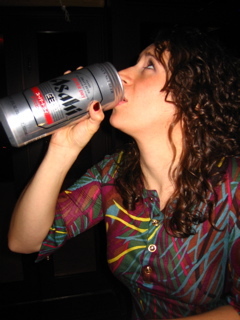 You are not supposed to drink it out of a can, ladies. Use glasses especially when drinking huge Japanese beer!! !